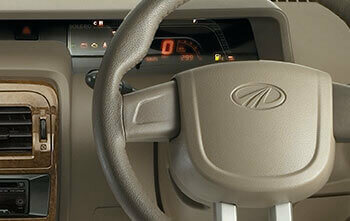 Contemporary body decals distinguish the New Bolero Power+, on and off the road. 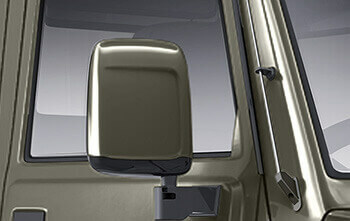 Rear-view mirrors are integrated with the stylish New Bolero Power+'s tough exteriors. 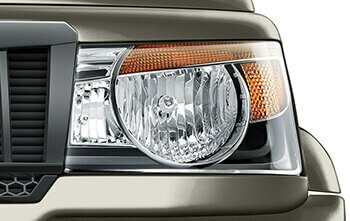 Blue Vision headlamps make a style statement even when they're switched off. 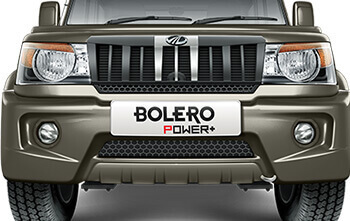 The New Bolero Power+ makes a bold statement wherever it goes. Tough. Powerful. Geared up. 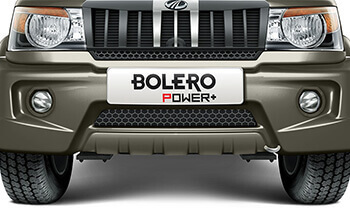 Safe and solid, the new muscular bumpers show off the New Bolero Power+'s aggressive stance. 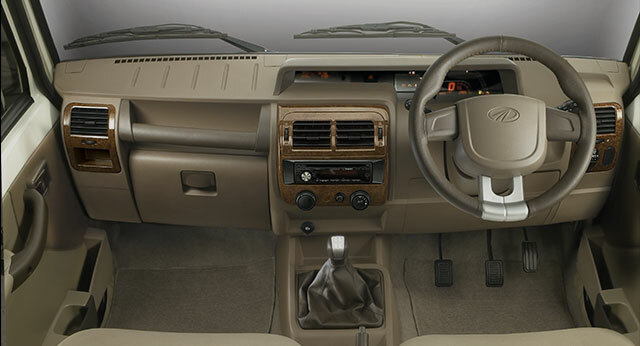 Let your New Bolero Power+ remind you to buckle up, refuel or shut a door, just in case you forget, with intelligent voice alerts. 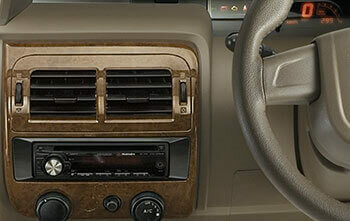 A new digital display adds vibrancy and ultra-modern style to the New Bolero Power+'s interiors. 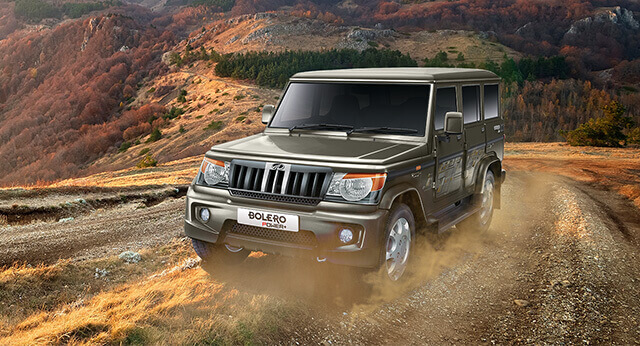 Long drives will become a breeze because the New Bolero Power+ wipes out any worries you may have about planning your journey. 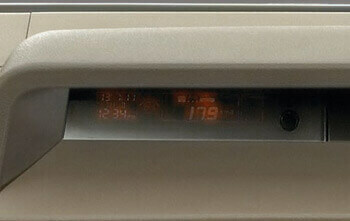 The smartest way to keep your New Bolero Power+ safe from theft. 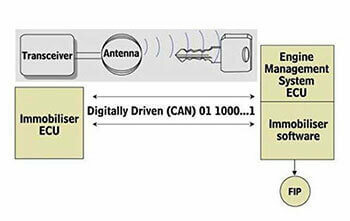 With the encrypted key recognition system, duplicated keys are immediately rejected. 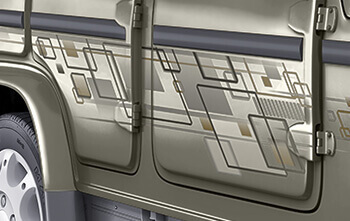 Micro Hybrid System provides automatic fuel saving on every drive.